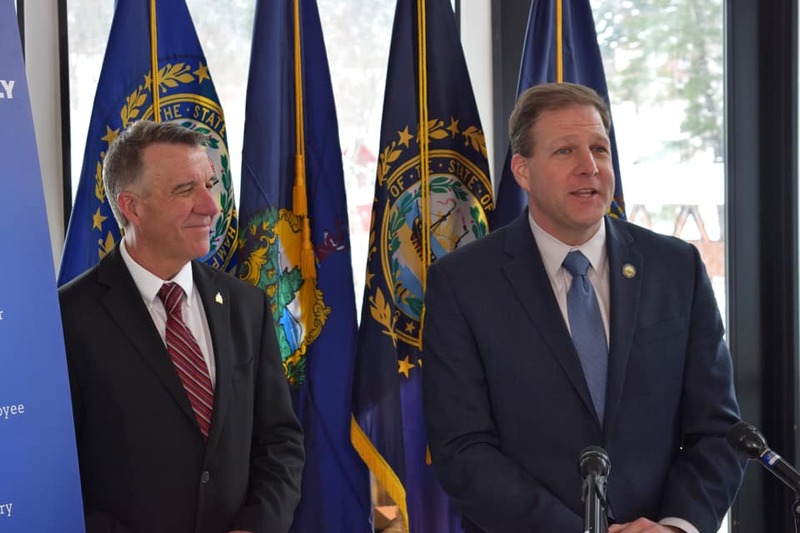 Littleton, NH – Wednesday, New Hampshire Governor Chris Sununu and Vermont Governor Phil Scott detailed their Twin State Voluntary Leave Plan, a bi-state voluntary paid family and medical leave program, in a press conference at Schilling Beer Company. The Governors’ plan creates an insurance product that is not currently offered in either state. It will be available to all businesses, as well as individuals, and will be anchored by the state employee workforce of both states – a combined 18,500 employees. Any qualifying exigency arising out of the fact that the employee’s spouse, son, daughter, or parent is a covered military member on “covered active duty,” to care for a covered service-member with a serious injury or illness if the eligible employee is the service-member’s spouse, son, daughter, parent, or next of kin (military caregiver leave).